Life is so mysterious. You can be going along, minding your own business and never see any type of vehicle styled like a pig and then WHAMMO! You’re at the pig-car nexus of the universe. I don’t know how or why, but it’s science. I think. 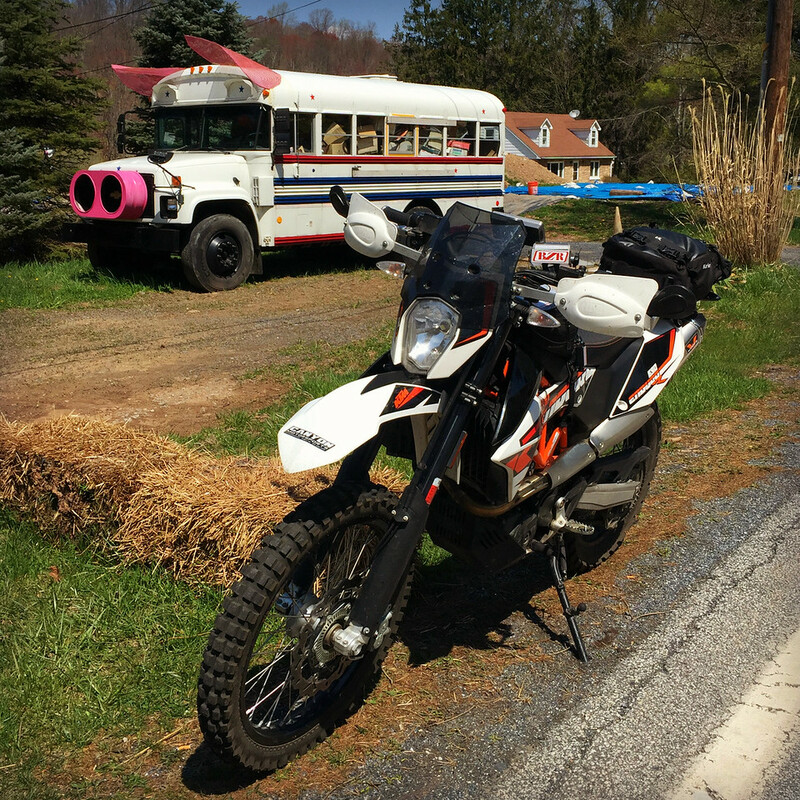 While I was on my way to Newport, Pennsylvania a few weekends ago, I saw another pig bus. At first I rode right by it with a chuckle and a head shake. But about 300 yards down the road I came to my senses and went back to snap a picture. I mean, pig buses don’t happen everyday. Or… do they once you fall into the porcine wormhole? 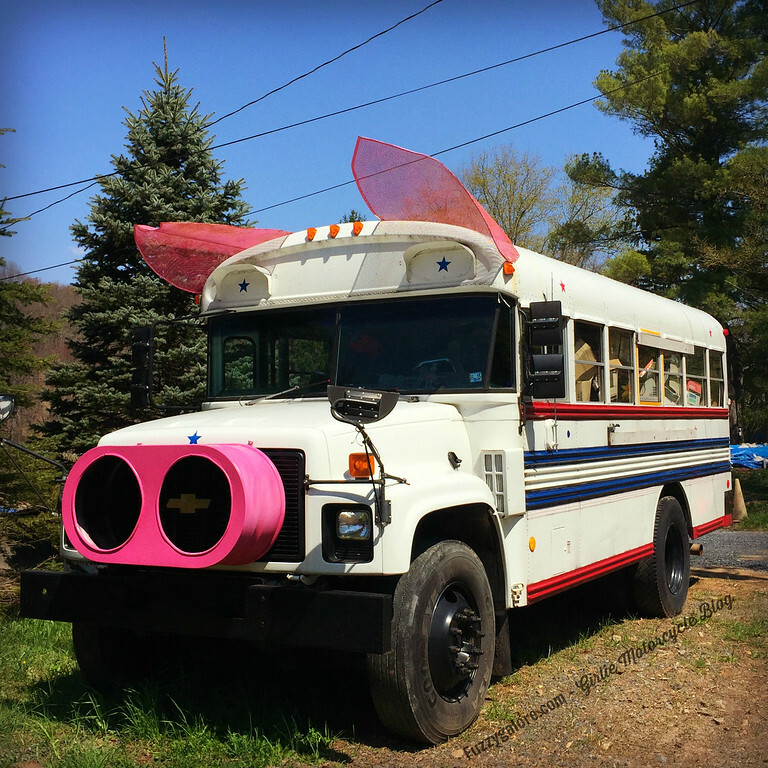 This was the first pig-bus I saw. It was on Route 60 in West Virginia in the fall of 2015. I basically tripped over it while looking for a pink giraffe with green spots. Yes, I realize how ridiculous that sounds but, well, you know. I never asked to see a pig vehicle. Never once looked one up on the web. It’s like they found me. 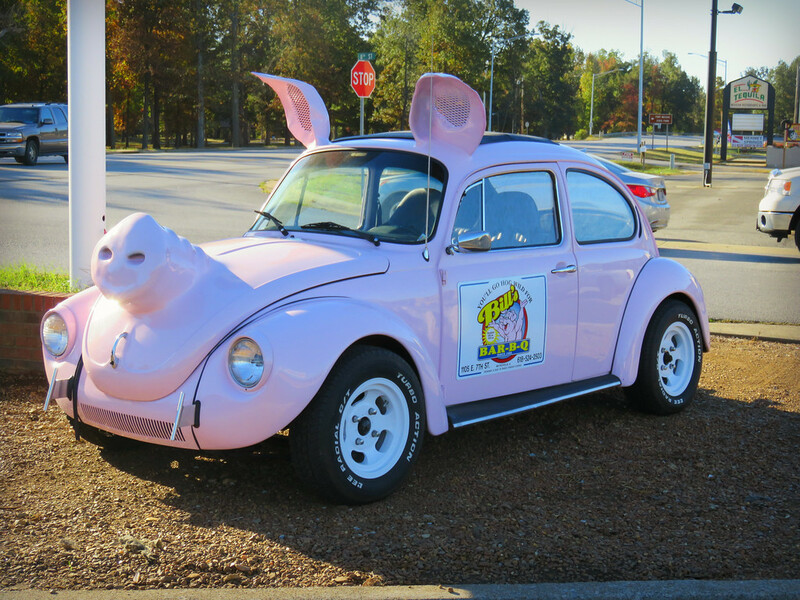 After seeing that pig bus on Route 60, I saw this pig Beetle the very next day in Metropolis, Illinois. Here I was thinking “who wouldn’t ride to bacon?” and “damn! a girl who will ride to bacon?!? !” and it’s pig-cars and pig buses?? Not that those finds aren’t totally fascinating and extremely blog-worthy, because I would have been here for that too. But luring gullible readers with bacon as bait? It’s just not fair! Now here it is, quarter to midnight, how am I going to get to sleep with bacon on my mind? It could be worse, but I don’t see how. My most random, totally awesome find will always be the Hit Wheels looking dune buggy that shat flowers on the road. 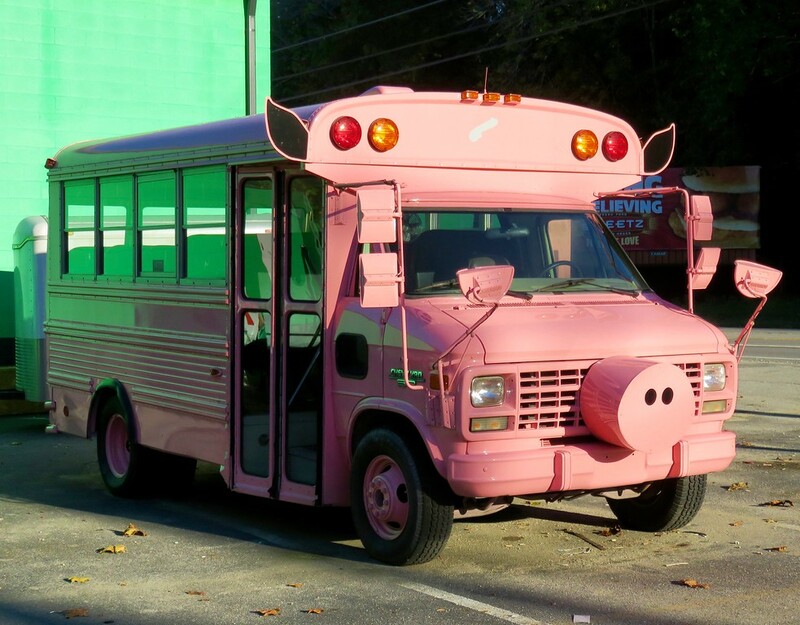 A pig bus or two or a car would totally delight me. Fuzzy I love your universe! Bacon mobiles, weiner wagons, giant muffler men, hiney if its out there you and ToadMama will find it. hiney if its out there you and ToadMama will find it. Are you too young to remember the wildly popular slogan, GRAB A HEINEY? Dar is going to feel like we are picking on her. All in good fun, though. Right, Hiney?